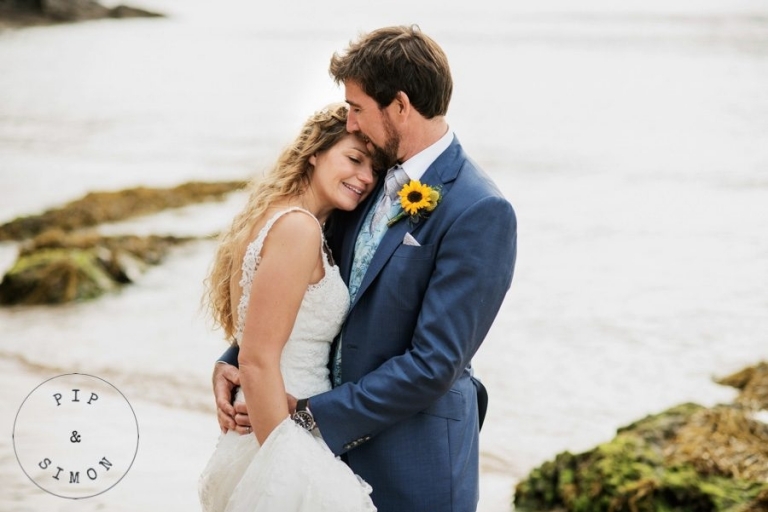 I can’t tell you how much we love being asked to photograph a wedding in Salcombe. Well, OK then, I’ll give it my best shot! Salcombe is steeped in maritime history from the honest pursuits of fishing, boat building and general sailing. Not to mention the not so honest smuggling, and downright exciting piracy. Salcombe is also a beautiful seaside town made from a magic mix of all that makes Devon so very Devon! Nowadays Salcombe is well known for being a stunning coastal location with beautiful white sandy beaches and a bustling sailing community. I should know, it’s where my past sailing career was launched. Whenever we get asked to photograph in Salcombe I get really excited. It always feels like going home. Imagine how it felt, then, to arrive with Hamish and his groomsmen, only to discover that I went to university with half of them! It felt a lot like I’d been transported back in time, and that could only mean one thing – we were going to have a lot of fun! I knew this lot, I knew how crazy things were likely to get as the day wore on. I knew drinking games would be a definite. Heckling during the speeches would be a given, and that the chances somebody would end up drinking from their shoe, was very high. Sadie and Hamish’s wedding day. Given both Sadie and Hamish are professionals within the sailing world, it was only right that Hamish’s day would start in the Yacht Club. It started with him leaping on to, and throwing himself off of the bar, face first! I know, us Devon sailing folk have some funny rituals. Must be all the sea air and rum. A risky business on any normal day, but particularly so right before your own wedding ceremony. Hamish and his party, having escaped breaking any bones, made their way through the streets and the pouring rain, to the church. Here they eagerly awaited the arrival of the beautiful bride. Sadie was being driven to the ceremony in a classic, pink wooden dinghy by her proud Dad! The happy couple made their way through a tunnel of cheerful umbrellas, despite the wonderful Devon weather, and the confetti rained down. Then Sadie and Hamish climbed into the frighteningly rare vintage Bentley to be whisked through the lanes and back to the boats. I use the term ‘frighteningly’ from the viewpoint of us two photographers with heavy cameras dangling from our waists! The guests settled into the celebrations at the spectacular private venue, complete with its own perfect private beach. We snuck off with Sadie and Hamish for not just one, but two boat trips around the picturesque estuary. A spot of the usual post-wedding boat trip photography! Followed by a stroll on the beach in the much welcomed sunshine. Finally we walked away from the sea and headed up to enjoy the wedding breakfast. Drinking games and heckled speeches on (nearly) dry land led to a party in the boat shed that echoed off all sides of the estuary.